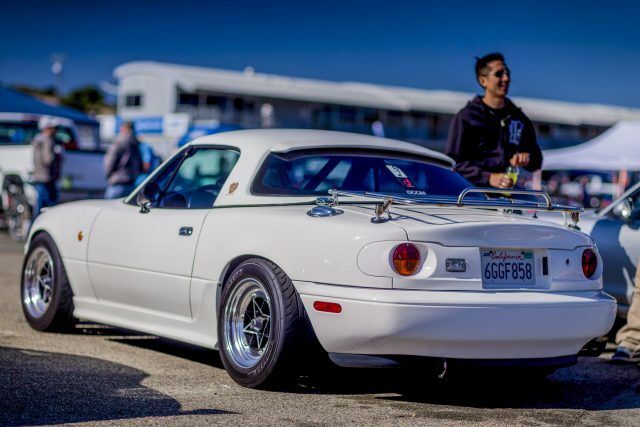 Now in its eighth year, Miatas at Mazda Raceway Laguna Seca has become one of the keystone annual events for Miata enthusiasts in North America. It famously celebrated the 25th anniversary of the world’s favorite roadster two years ago with a gigantic, crop-circle-rivaling “MX-5 25” spelled out with Miatas. This year, it had the honor of hosting the final American tour date of the one millionth example of Mazda’s beloved sports car. 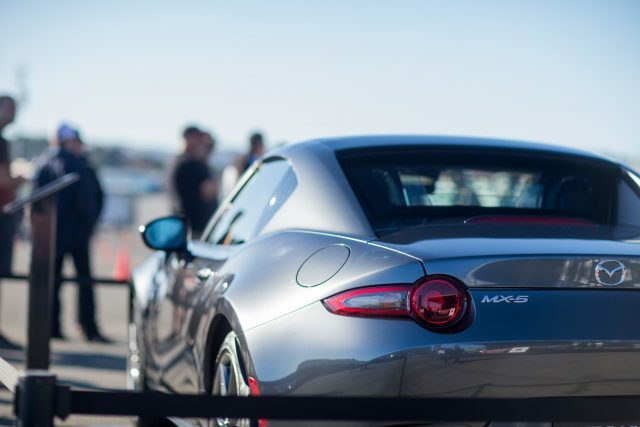 Over 900 participants and 700 Miatas converged at Mazda Raceway earlier this month for the event. 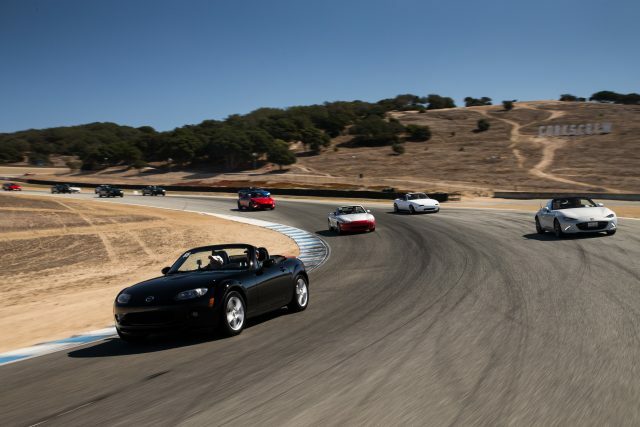 Miatas of all walks and colors — from preserved stockers to dedicated track monsters to cars better described as Miata-based — demonstrated the joy and versatility of the sports car’s platform. The bulk of the weekend was dedicated to runs on the track, though it was not a strictly track-day-only event. Moss Miata, for instance, threw their usual welcoming BBQ Friday afternoon and led a two-hour cruise through the surrounding areas Saturday. There was also a big party for Miata owners Saturday night. As mentioned, this year’s event marked the final US stop of the Millionth Miata Celebration Tour. The Japanese-spec 1.5-liter Soul Red ND was on hand for participants to view and sign. Also on display was a Miata RF in launch edition specification clad in Machine Gray over Auburn Nappa leather. 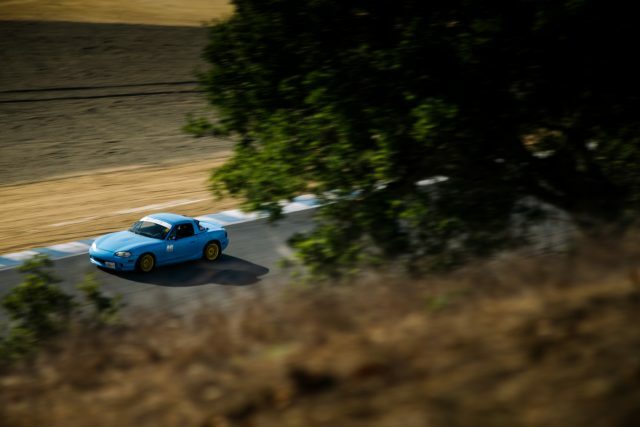 Parade laps took place both Saturday and Sunday, allowing any participant to cruise in their Miata down the famous corkscrew as part of a giant convoy. On Saturday, the parade of 296 cars was led by the Retractable Fastback and the millionth Miata with Tom Matano riding shotgun. A figure of Miata royalty, Matano was the Vice President of Design at Mazda R&D in the US during the NA Miata’s development and oversaw the design of both NA and NB generations. His presence at any Miata event is always a treat for enthusiasts. Last but not least, in something that’s become a bit of a tradition, the participants spelled out “1,000,000” with their Miatas, and an aerial photo was taken. 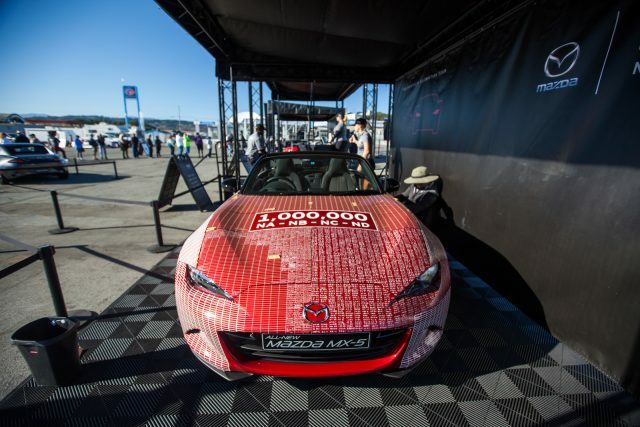 Following the weekend, the millionth Miata headed to Mazda’s Canadian headquarters in Richmond Hill, Ontario before returning to Japan. The dates for next year’s event have already been set: October 7-8, 2017. 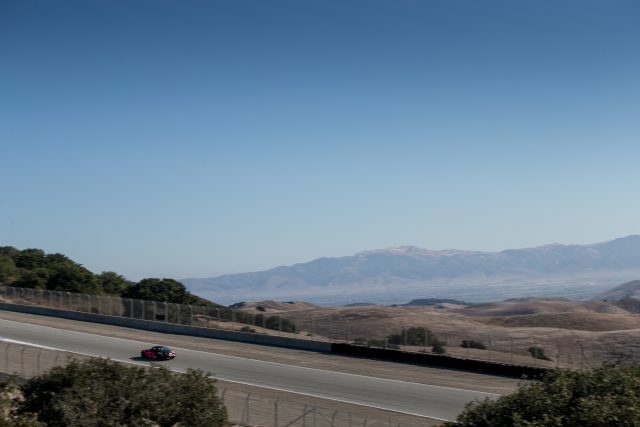 As a celebration of the most beloved and enduring lightweight sports car in the world and an excuse to experience one of the most charismatic and scenic circuits in the US, Miatas at Mazda Raceway is hard to beat. If you’re a Miata or Mazda enthusiast, mark it on your calendar now. tagged: Jinba Ittai, mazda, Mazda Raceway Laguna Seca, miata, Miatas at Mazda Raceway, Millionth Miata, mx-5, na, nb, nc, ND. Except for the *most recent* Miata offered, most of the Miatas I’ve seen over the year I’ve seen have been quite attractive. It is the best selling sports car of all time for good reason… they are a complete hoot to drive, and absolutely dirt reliable. This was the seventh Miatas@MRLS event, as there wasn’t one in 2011. 2009, 2010, and 2012-2016. I’ve been to four of them and will be making it a fifth next year.